School zones are designed to protect children who may be entering or exiting schools from a school bus or another automobile. Typically, school zones have much lower speed limits that are strictly enforced. Many drivers choose to ignore the rules about school zones, and may drive recklessly, which can endanger the lives of children. It’s been estimated that about 30,000 children a year are injured in school zones in the U.S. Unfortunately, many drivers today are very distracted by phone calls, text messages, and emails. They may choose to ignore the dangers of distracted driving, even while in school zones. Some studies have shown that distracted driving is more dangerous than drinking and driving. If a driver is distracted while driving through a school zone, he or she may be unaware of the speed limit, and could fail to see children or other vehicles. One way you can help prevent any accidents from occurring with your children is to educate them about the dangers of traffic and how to stay safe. Children should know the rules about crossing the roads, and should pay careful attention to their surroundings as pedestrians. If you take steps to keep your children safe, you may be able to prevent any serious injuries from occurring. 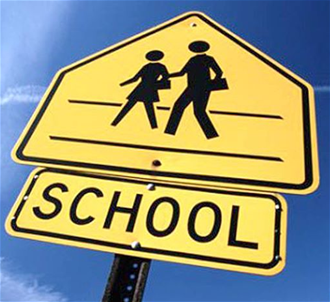 If your child has been injured in an automobile accident while in a school zone, you should consider speaking with an attorney. Your child has legal rights, and may be entitled to compensation for his or her injuries. Call the Houston personal injury attorneys at Kennedy Hodges at 855-947-0707. Our team can help. Call us to schedule a free consultation, or visit us on Google Plus to learn more.